Watercolour sidewalk chalk — such a simple but genius idea! I took this photo a few months ago here in Amsterdam on one of the last warm and sunny days of the year. 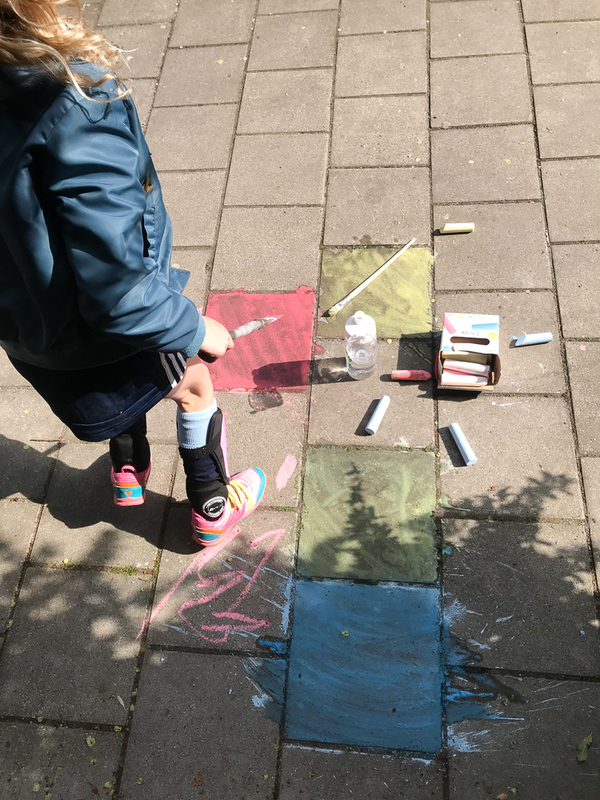 This girl was drawing on the sidewalk with pavement chalk, and had the brilliant idea to add water and brushes to the fun — resulting in deeper and brighter colours and a cool watercolour effect. So brilliant! 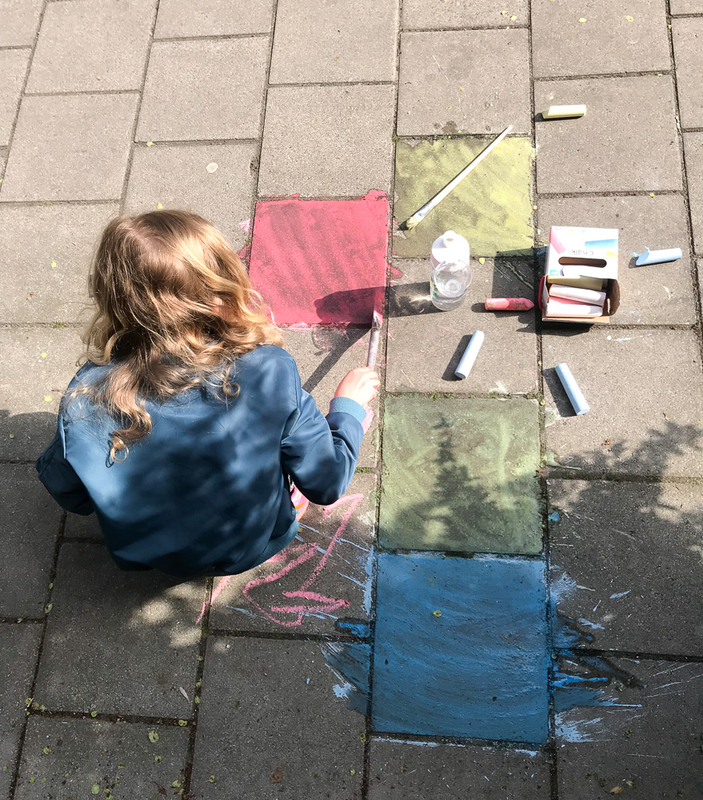 I’ve been meaning to try the concept of watercolour sideway chalk with my children, but the weather has turned since and it’s too chilly to play with water outside now. But it’s sunny and hot in Australia at the moment, so I thought that perhaps our friends Down Under might want to give it a try? Because seriously, how easy, straightforward and FUN is this activity! I can’t wait to try it out! !